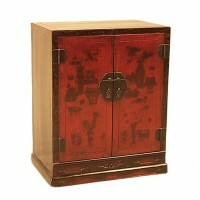 1 320.00 € VAT excl. 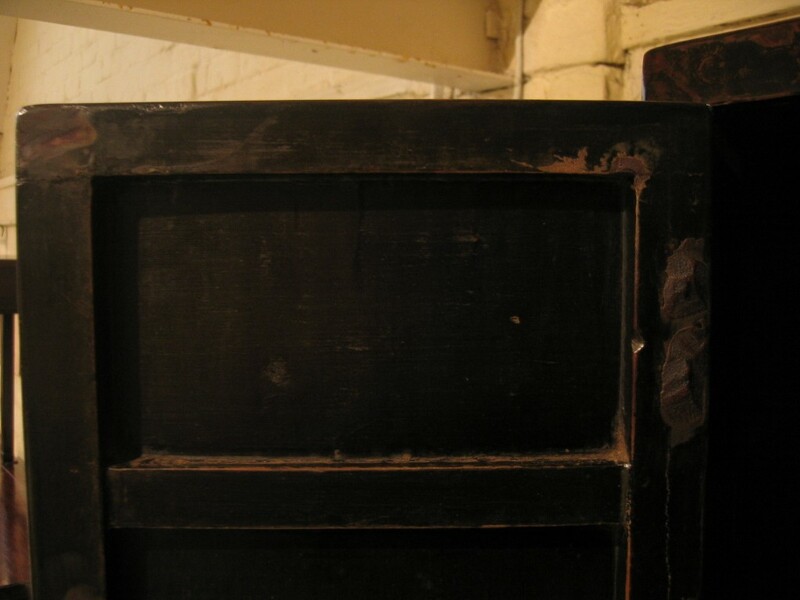 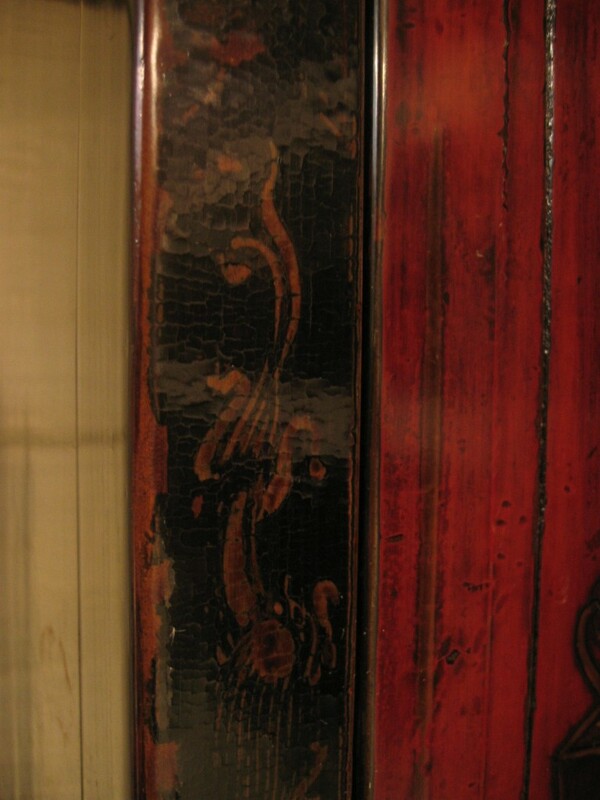 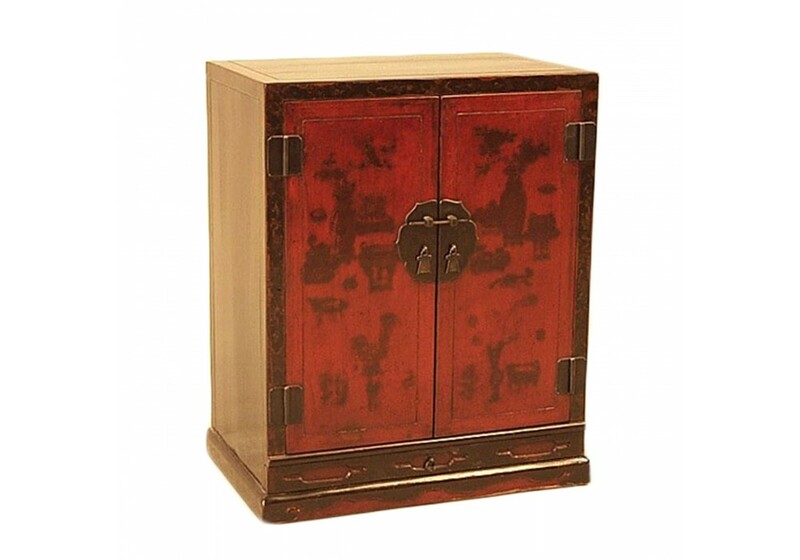 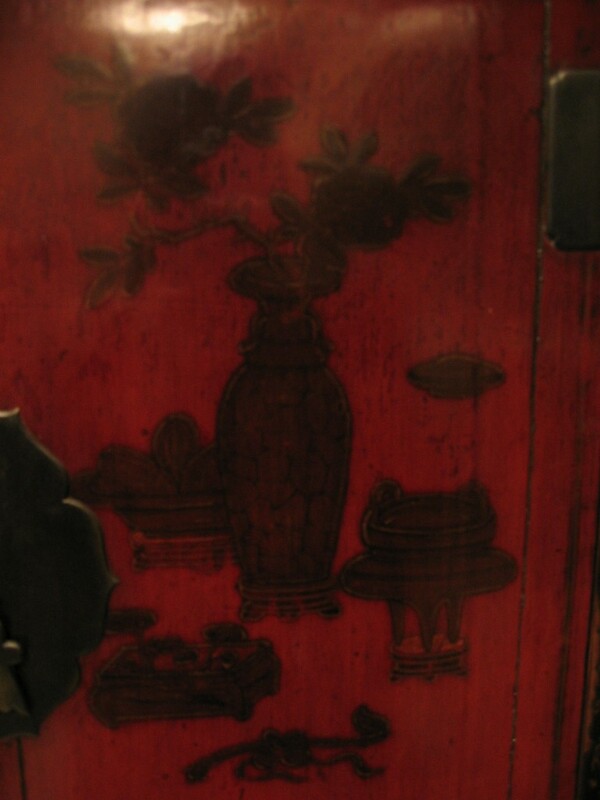 "Black lacquered on sides and top, red lacquered doors decorated with archaic motifs (now faded) A narrow drawer is positioned below the doors. 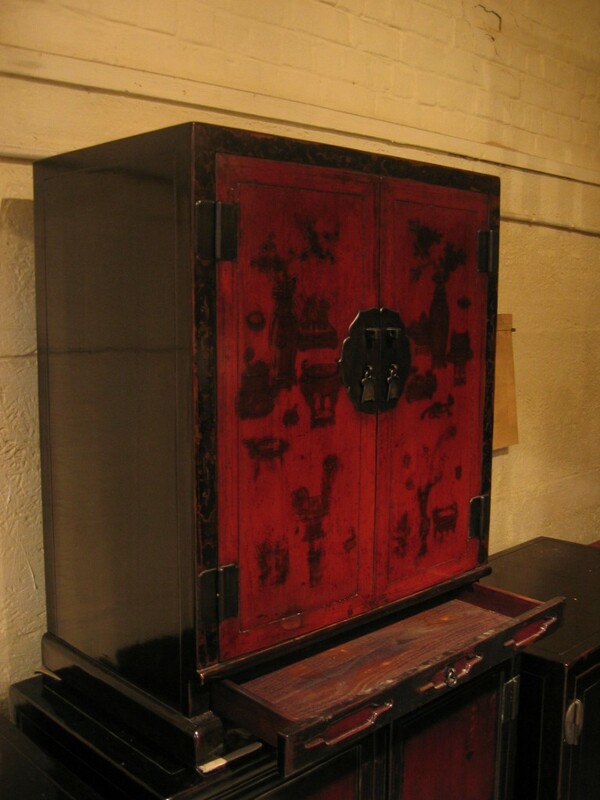 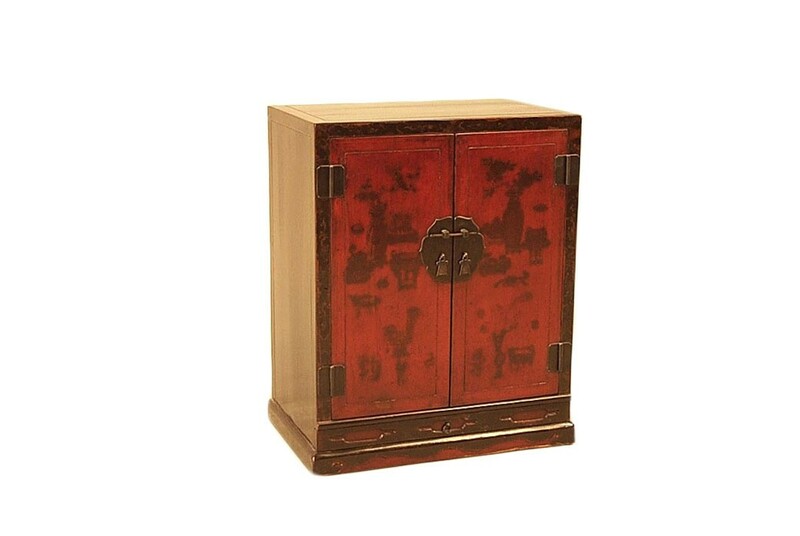 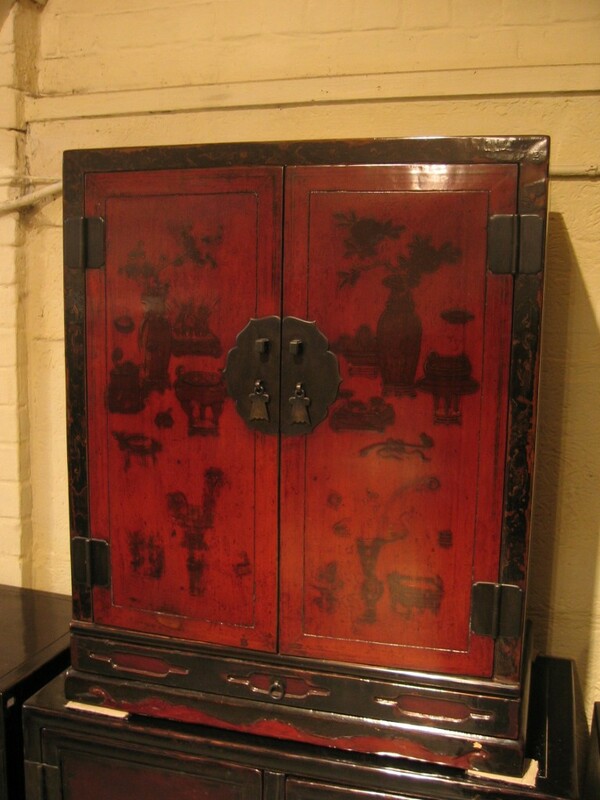 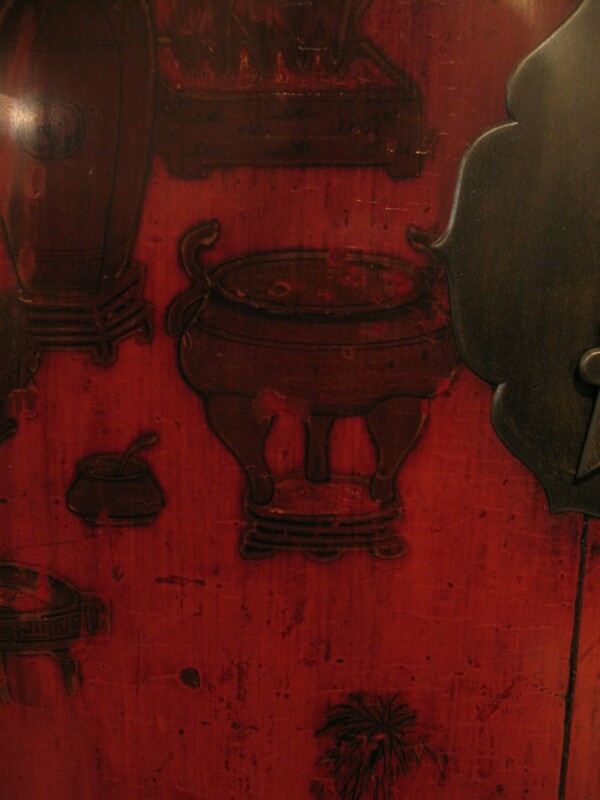 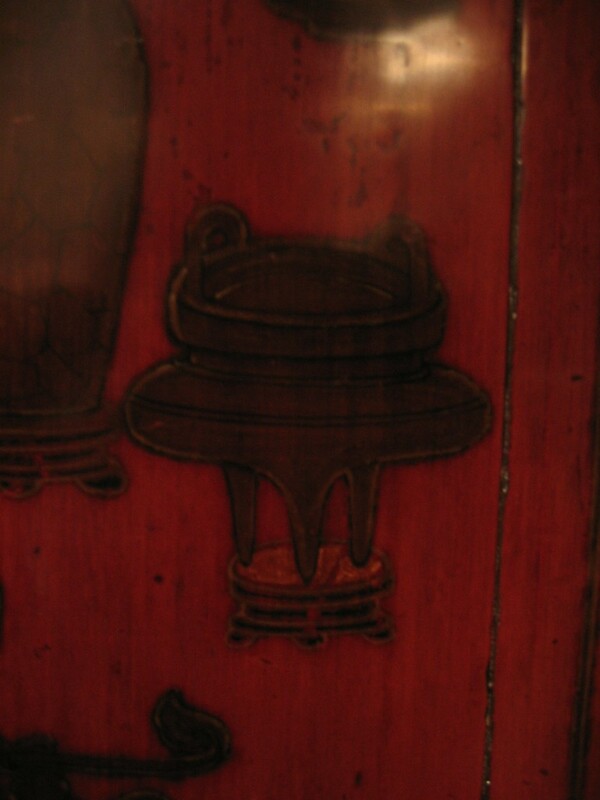 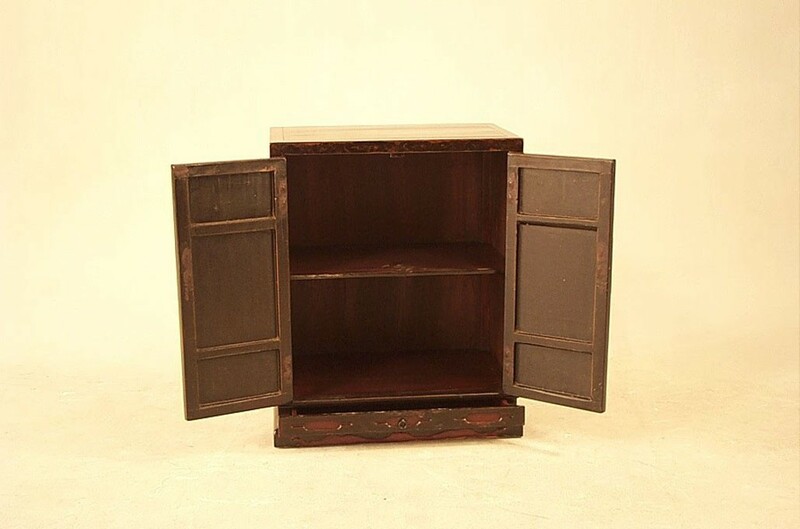 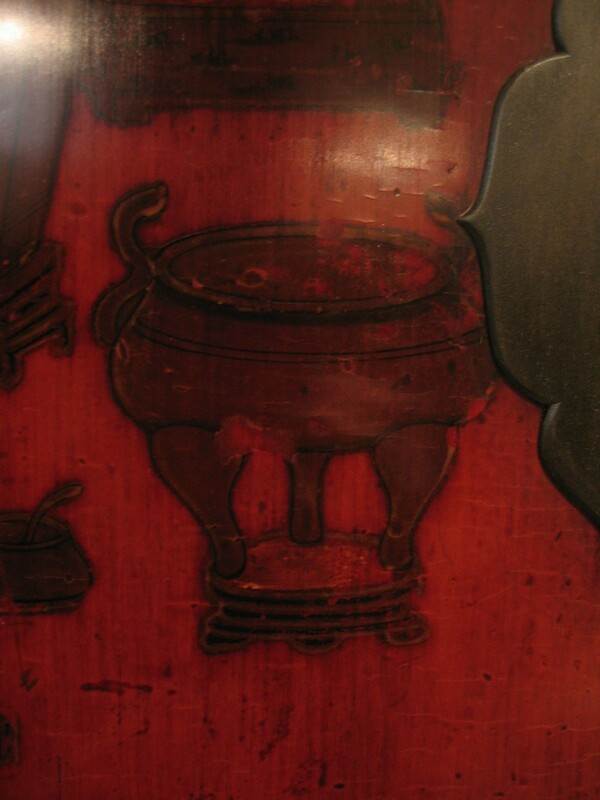 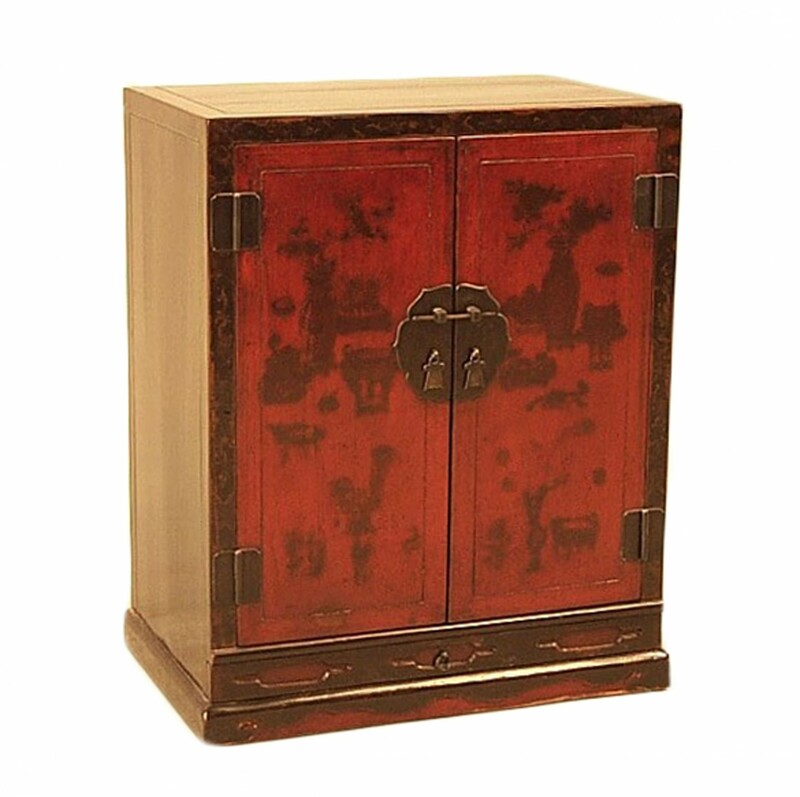 Cabinet in cubic ‘simianping’ style (meaning “four flat sides”)"
Elm, thick red and black lacquer, brass. 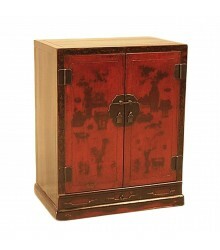 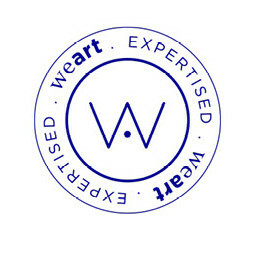 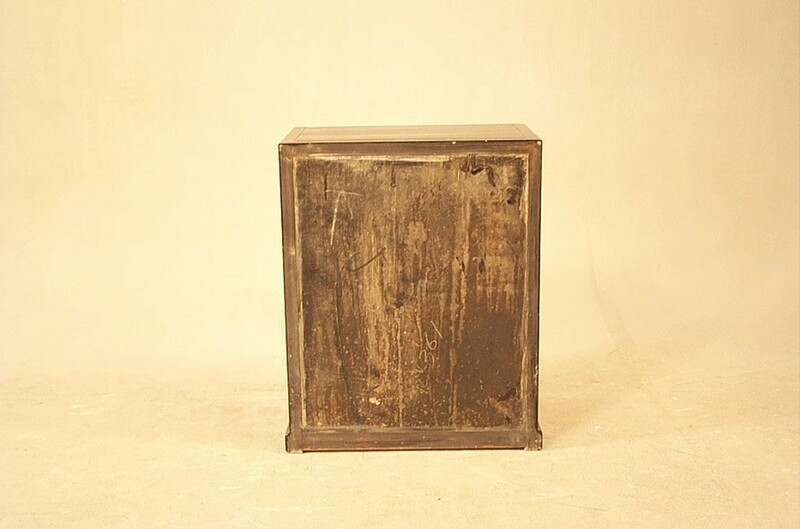 Current price : 1 320.00 € 1 320.00 € VAT excl.